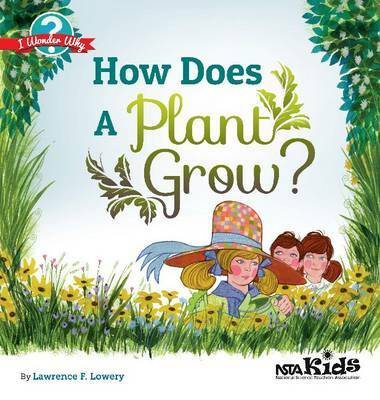 Children don't have to be botanists-in-training to discover the message of this book: "All plants are interesting. Even the weeds." Young readers are sure to be intrigued by the wide variety of shapes, sizes, and functions in flowers, fruit trees, and all sorts of other flora. How Does a Plant Grow? will inspire children to be newly alert to the many wonders of the plant world, from how seeds sprout to why leaves turn to the light to the vital roles of stems and roots. How Does a Plant Grow? is part of the I Wonder Why book series, written to ignite the curiosity of children in grades K-6 while encouraging them to become avid readers. These books explore the marvels of plants, animals, and other phenomena related to science and nature. Included in each edition is a Parent/Teacher Handbook with coordinating activities. The I Wonder Why series is written by an award-winning science educator and published by NSTA Kids, a division of NSTA Press.